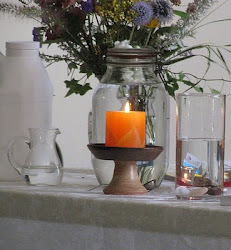 UU A Way Of Life: Do we choose death or life, victimhood or well being? Do we choose death or life, victimhood or well being? Unitarian Universalists covenant together to affirm and promote the free and responsible search for truth and meaning. Where does that search take them? Further down the path of the ego or up the path of the spirit? What is called for if one would have a happy life is a shift in belief and perception. 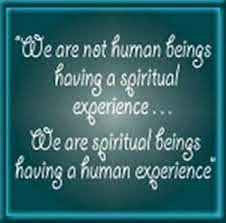 Do we choose to walk the path of the ego or the path of spirit? We come to a fork in the road and we have to choose. We cannot walk both paths at the same time. They go in different directions. The choice is about belief and perception. We see what we believe we see. The life we create for ourselves is a life of never ending self fulfilling prophesies. We develop a mindset set that governs our perceptions. "Perception is reality," says the bumper sticker. If we choose sickness and death we will get it. If we choose healing and life we will get it. We think our body can control our mind and we give it powers it doesn't have with using terms like "instincts," and "reflexes," and the names of various diseases which victimize us. Is it "mind over matter," or "matter over mind?" No circumstances in the world we have created can make us believe, feel, or do anything. Over circumstances we may believe we have no control, but in our response to those circumstances we always do. What will be our response be to the circumstances of our lives? Do we choose sickness, suffering, and death, or healing, peace, and Life? Are we victims or the beloved creation of the Divine? Our choice. Choose wisely because our ultimate happiness and well being depends on it.